After the death of her dear father, Georgiana Hartley returns home to England — only to be confronted by the boorish advances of her wretched cousin. Knowing no one, she flees to Dominic Ridgely’s estate, hoping the nobleman will bestow a neighborly kindness upon her. The haughty viscount hears Georgiana’s plea to find her a position as a lady’s companion with thinly veiled disgust. A lovely innocent such as Miss Hartley subjected to that base existence? The very idea was preposterous. Instead, he takes matters into his own hands and introduces her to his sister’s influence. Suddenly, Georgiana is transformed into a lady who charms the ton with ease and draws a bevy of suitors at every turn. Everything is unfolding according to Dominic’s plan... until he realizes that he desires Georgiana for his own. 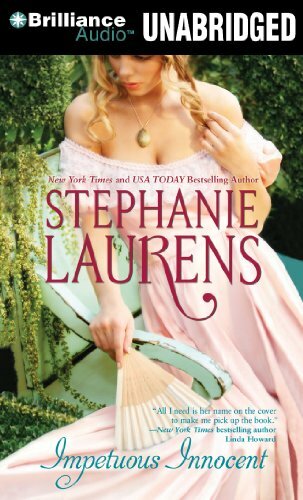 "Laurens' romance, glimmers with sweet sexiness and effervescent charm."